Ellery's mother is from a small town called Echo Ridge. Ellery has never been there but, she heard about it. Her aunt went missing when she was seventeen. Five years later, a homecoming queen was murdered at a local amusement park. Now Ellery and her brother, Ezra has to move to Echo Ridge to live with their maternal grandmother they barely know. Even the small picture-perfect town is hiding secrets. In a memorial service before school begins, there was an ominous message about homecoming becoming deadly as it was five years ago. Shortly after the message appears, a girl goes missing. Ellery knows all about people keeping secrets. Her mother and grandmother are keeping secrets too. The longer she spends in Echo Ridge, the more she realizes that everyone is hiding something. 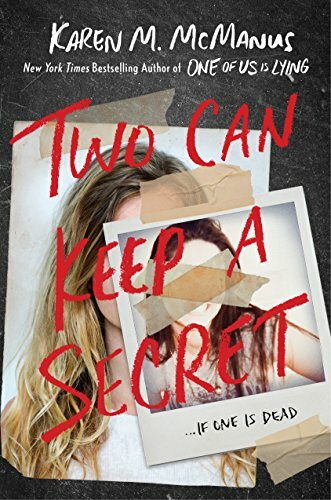 She realizes that someone is willing to kill to keep their secret quiet. Will Ellery be able to find out what happened to her aunt years ago? I usually like reading novels like these because they usually have unexpected twists and delicious secrets. I was saddened when the story was predictable except for a portion of the ending. On a side note, while I did enjoy the novel, I found that there was a lot of characters and the ages were a bit confusing to me. For example, Ellery's mother and the other students are the same age but, the other students have younger siblings who are the same age as Ellery and Ezra. This was hard for me to grasp and conceptualize. I wish there was a timeline of ages and past events as this would have made some of the story easier to follow along. Overall, a fun read for people who love novels with "small towns with deadly secrets". As a kid I used to write books when I was supposed to be playing outside, and not much has changed. I'm a marketing and communications professional who also writes Young Adult contemporary and fantasy fiction in Cambridge, MA. When not writing or working I love to travel, and along with my nine-year old son I've ridden horses in Colombia and bicycles through Paris. A member of SCBWI, I hold a bachelor’s degree in English from the College of the Holy Cross and a master’s degree in Journalism from Northeastern University. Which I have never, ever used professionally. The full matte coverage lipstick promises to go on smoothly. However, the first few swipes I noticed it tugged against my skin and didn't go on evenly. I am assuming there was a thin layer of wax which probably caused the tugging. And after a few uses, the lipstick would go on smoothly. The lipstick is enriched with pomegranate, goji fruit, and grape seed extracts but, I found the lipstick to be drying on my lips. Overall, I still found the highly pigmented lipstick a great buy for $7. The gel eyeliner is richly pigmented and it glides on smoothly. It didn't tug or rub when I was applying it. It also stayed put all day without smudging or fading. I read that it is called Golden Black because it has gold sparkles but, I didn't really notice it. Nandu is a thirteenth-year-old elephant drive who lives in the Royal Elephant Breeding Center in the jungle. The King's elephants in the compound are protected in the stable. Nandu and his friends at the center are tested when an earthquake hits Nepal, which the locals deem to be a bad omen. 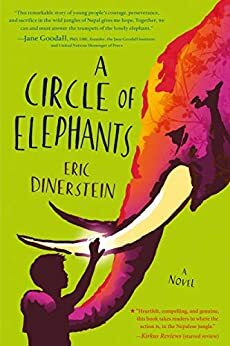 Nandu and his elephant, Hira Prasad, have an unbreakable bond but, becomes strained when a series of event upturn their lives. Will Hira Prasad and Nandu be able to keep their bond? Is the earthquake a sign for more evil to come? This novel was one of the best novels I have read this year (yes, the year did just start). The author wrote the novel so beautifully, that I felt transported to Nepal being surrounded by lush foliage and being there with Nandu. I love how the characters felt so real because they were flawed people trying to do the best with what they have. Overall, I love this book and I can't read more books by the author.